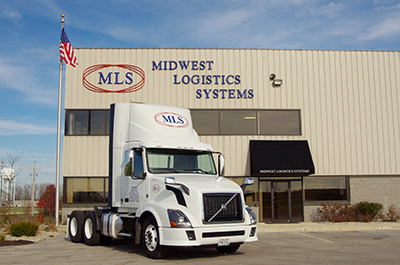 The Indeed.com average salary for drivers at Midwest Logistics Systems is $47,723 per year. Look elsewhere there are far better jobs out there. Worst people ever will run you into the ground then push you further. This company has zero compassion for there drivers. All they are interested in is moving their auto parts . drivers saftey is not important to them. They figure drivers are a dime a dozen. Manager doesn't really know where he is. Biggest turn over, too many steering wheel holders!!! Not actual drivers. Seen, a couple come in, start up the truck and take off. Never even walked around. Can't even open the trailer doors. You can pretty well forecast what your pay will be for the week. You get less rest than being OTR. No one really cares about your well being. Shut up and drive attitude towards the drivers. 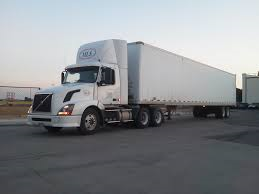 3600 to 4100 miles a week in a penske daycab at .32 a mile paid weekly, direct deposit. It's a linehaul so how your day or night turns out is determined by 1 or 2 other drivers that may or may not care. All drop and hook. Most of the tractors are decent, as decent as a bare bones, steel wheeled, penske truck can be. Trailers are hit and miss. Some are rusted completely out with holes in the skin, some dog leg a foot to either side, but there are a few new ones floating around. Lots of recap tires. Home time... Yeah. I'm home enough to say I use my own toilet. Some days I get 12 hours home, some days 8 to 10 hours. 34 hour reset is done at home. Electronic logs the generic way, Big Road app on a phone bluetoothed to the truck. It works 80% of the time. Most loads are very light. I've had as little as 200lbs on a 53ft van. Apparently a lot of this place is determined by where you are located, some are better than others. I'm not at one of the better places. Employee turnover rate is higher than swifts roll over rate. I've been with them a year and I'm #7 in seniority out of 40 or so drivers from my yard... Roads iced over and the interstate is closed? 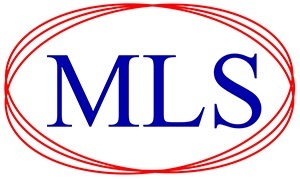 Not for MLS... You're expected to run no matter what. Tired, sick, tornado, world is on fire or completely frozen... you better be in your truck running or the next sucker they recruit will be. No sick time, no vacation, just a paycheck. Home every night, awesome pay and good equipment! And they take newbs right out of school, yup, even they can start with the dream trucking job! Any info on good company for drivers with little experience?? ?